Maurice Thompson IV is a 2019 OF with a 5-10 175 lb. frame from Pflugerville, TX who attends Hendrickson HS. Medium athletic build with some present strength, especially in the lower half. 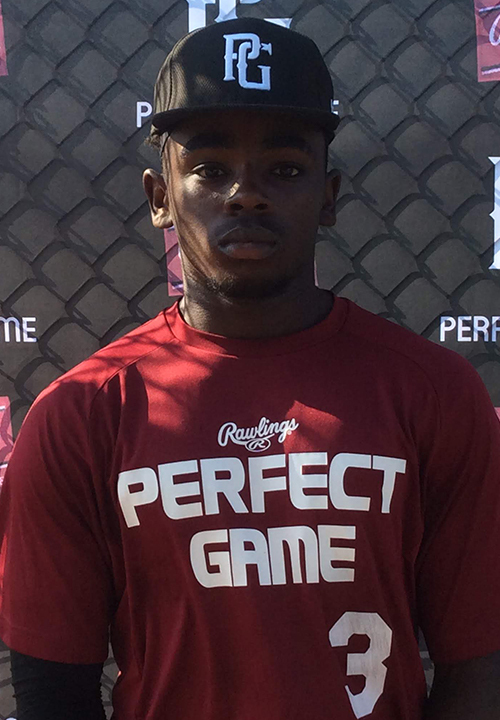 6.67 runner, moves very well in the outfield and has range, attacks the ball aggressively, has good footwork throwing and makes accurate soft throws. Right handed hitter, hits from an open stance with a low hand load, leans over the plate with his upper body, upper body swing with good hand quickness, works pull side to middle of the field, 4.36 home to first. Speed is his tool, top of the order player. Good student.